The sad reality of migrant youth and their families and how the Church should use the digital world was the focus of the daily Synod of Bishops on Youth, the Faith and Vocational Discernment press briefing. Ms Yadira Vieyra from the USA is a young auditor at the Synod. She works alongside psychologists and other professionals with migrants. She says that many migrant families suffer from anxiety, distress and depression. This is often linked to violence. At the Synod she is trying to motivate the Church to take the mental health of migrants in the USA and other parts of the world seriously. The Church, she said, cannot minister to youth without ministering to their families too. Ms Vieyra also addressed the issue of the role of women saying that she thought that it was unfortunate religious sisters were not able to vote at the Synod. Women can make interventions in the assembly but cannot vote. She said that women have a very important role and that they invest in the spiritual development of Church members. As a newlywed, Ms Vieyra added that she thought that the accompaniment before marriage was good but feels that there needs to be a serious look at how young people are accompanied after marriage by the Church. She said that the Synod has been a positive experience – some bishops have been willing to listen, learn and change. Others, she says, still need to be convinced about this. Maronite Bishop Joseph Naffah says that the reality of the Middle East has been discussed. He said that young people are not afraid to witness to their faith even in the face of martyrdom. He said that the Church is one of hope and so considers this struggle an opportunity to bear witness to the faith. Bishop Naffah went on to speak about ministering in the digital realm. He explained how he ran a project in Arabic to keep in contact with young people online. The project is focused on catechism, a kind of religious science institute online, he said. There are 550 students in different parts of the world engaged in this including young people in prison. He said that he was particularly moved by a young person who is paralysed and can only move his thumbs. Before this initiative the world, for this youngster, was limited to his bed but now he is in touch with the whole world. The Bishop said that there have also been some conversions through this project. He expressed concern about many websites claiming they carry Catholic content but do not accurately reflect Catholic teaching. 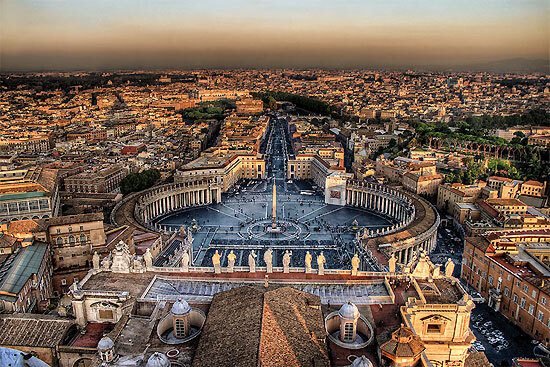 He proposed a special office in the Vatican that would check these pages and then certify them as sites that do reflect the position of the Catholic Church. Bishop Emmanuel Kofi Fianu from Ghana also spoke about the use of the digital world. He said that his particular interest was in getting the Word of God to young people. He said that it was important for the Church to provide more digital platforms on the Word of God as this would not only educate young people but help them become evangelisers. Fr Valdir Jose Castro, the Superior General of the Society of St Paul, says that he too focused on communication when taking part in discussions at the Synod. How the Church lives in the digital world is a key question. He said that the Church has not been idle but there is still much that needs to be done. The world wide web is a web of humanity and the Church must assist young people to become the protagonists of evangelisation in that space. He says that young people know the language and the grammar of the world of social media and so they are crucial in assisting the Church to reach out and open the doors.